For our second house on Michigan's incredible Higgins Lake, we have a similar challenge to our first house where a lot of square footage needs to be accommodated on a relatively small site and in a way that is respectful of the neighboring, more modest cottages. 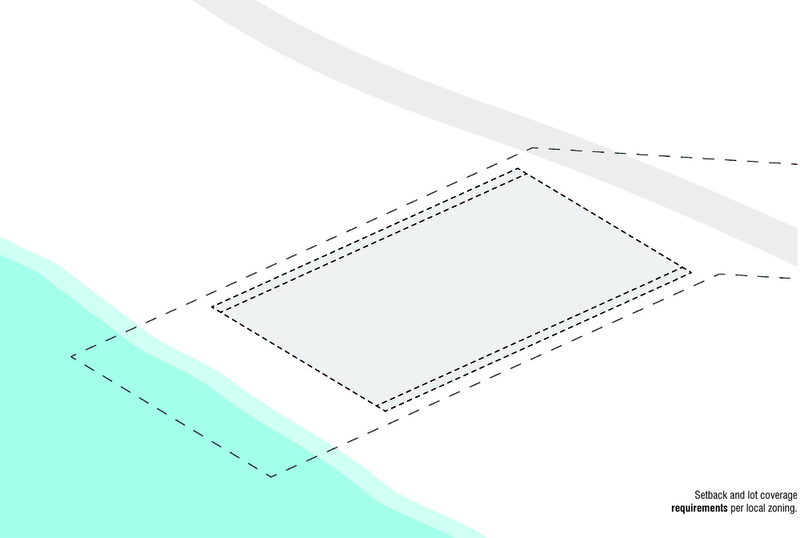 Unlike the first house, however, this site does not offer the possibility of placing part of the house below grade due to the higher relative water table. 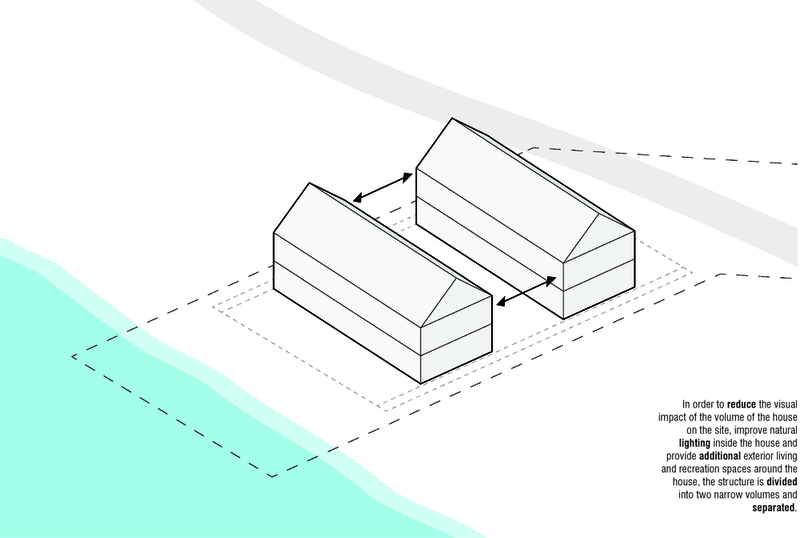 Our proposed solution involves separating the house into a "lake-side" building and "forest-side" building connected by a combination hall and gallery space. The separation reduces the apparent size of the house on the site, increases natural light and ventilation inside the house and creates two wind protected courtyard spaces between the buildings. The separation has the added benefit of placing the living and sleeping spaces for the residents in the "lake-side" building while creating privacy for guests with their sleeping and entertainment spaces in the "forest-side" building. We further reduce the apparent size of the house by using steeply pitched roofs and dormers to obscure much of the second floor. In this way, the roofs both conceal and reveal the upstairs living spaces while offering relief from expansive walls and access to great views.